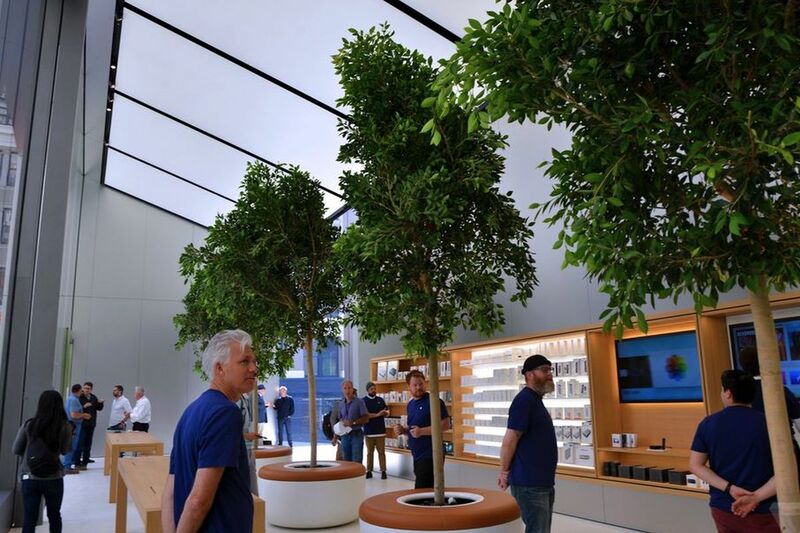 Apple is heading for a big change as it changes the outlook of its top stores for the first time in 15 years. It is adding conference rooms, meeting rooms, new video screens and living trees to its 100 biggest locations. It is also changing the name of the Genius Bar to ‘Genius Grove’. Pretty groovy right? The top 500 retail stores will also be offering ‘educational sessions’ now. The company has branded these sessions as ‘Today at Apple’. These sessions will be launching by the end of May but we still aren’t clear how these sessions will differ from the current creative workshops offered. The changes are based on the redesign that the company brought forward last year at the Union Square Park in San Francisco. So why this change? Apparently the company wishes to create the look and the atmosphere of a town square. It wants to be a whole other world. The conference spaces are meant to be utilized by small business owners and startups to get advice from developers and successful entrepreneurs. People at the Genius Grove will have very specific and specialized roles. These people will be able to offer help with skills like music and photography. Now You Can Buy iPad Air from the Apple Store!